The restoration of the decorative metal supporting panel framing the painted wooden panel was completed in 2018. The foundation of the altar of the Madonna di Sotto gli Organi dates back to 1225, when the painting made its entrance from the Lombrici Castle (Camaiore). In 1887 the Primaziale Chapter had the frame created with the help of some benefactors. The panel measures three meters in height and two meters in width. The decorative elements are in silver and in gilded brass with background elements composed of red and blue vitreous enamels. 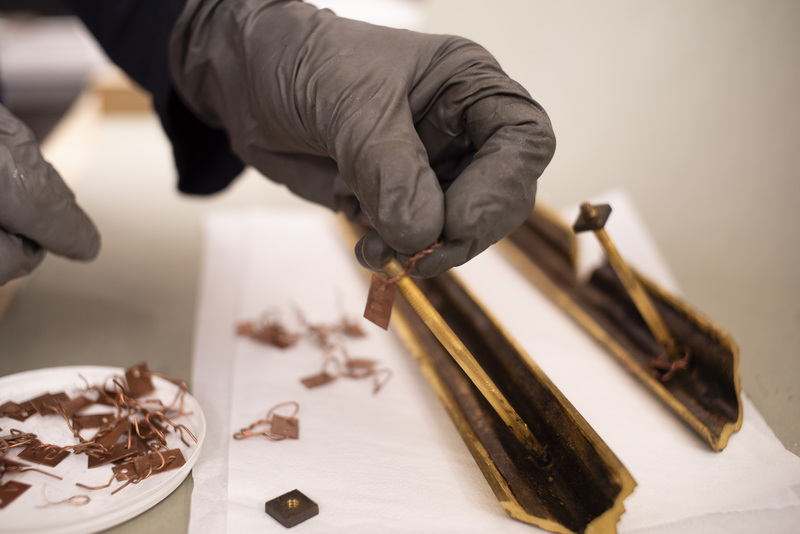 Each component of the frame has been disassembled and every single piece has been cleaned and some lost decorative elements were also replicated. The restoration was carried out by Mirko Bassi, a specialized metal restorer from the Opera della Primaziale Pisana.